Outdoor Holiday Décor – While it may be tradition, forego the inflatable snowman or Santa Claus when your home is on the market. Stick to the traditional string lights that draw attention to your home’s architectural details. Draw attention to your home’s prominent features. If the prominent features are the trees in the front yard, consider wrapping them with string lights to make them a focal point. And, as an extra touch, add a Christmas-themed wreath to the front door. Nothing says, “welcome to our home,” more than a beautiful and tasteful wreath on your front door. 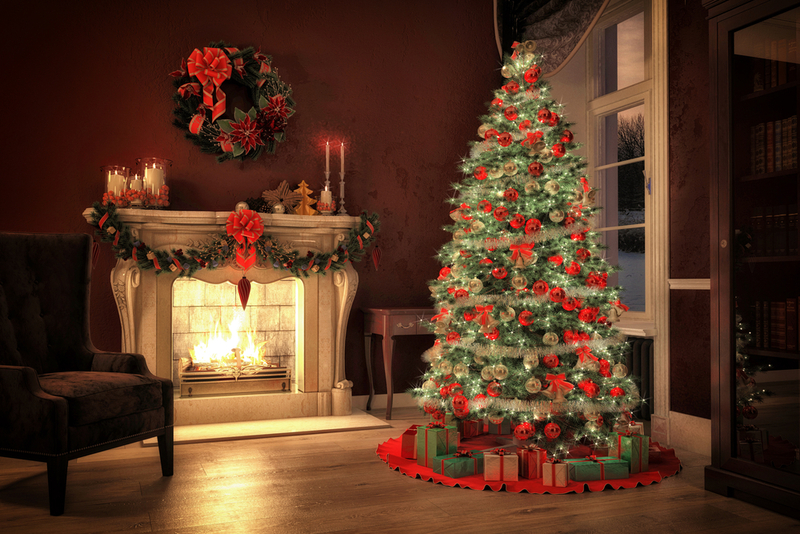 Inside Holiday Décor – Don't go too overboard here! Your Christmas tree, decorated like it is every year, provides a beautiful, homey touch to any house during the holiday season. To highlight your home's beautiful and prominent staircase, consider adding some lit garland and bows. Add a Christmas-themed centerpiece to your dining room table. If you think your fireplace your home's selling feature, add some decorations to make it stand out from the rest of the living room. Traditional ideas: nativity scene, wreath above the mantel, mason jars filled with poinsettias and ornaments, or a lit strand of garland. A little bit of holiday cheer around your home can go a long way and make a buyer smile! Have any questions about holiday home staging? Give me a call. I would love to help in any way I can.